Some of the most beautiful land in the county, enter the gate and follow the flagged path down and across the creek. Follow the flags as they continue and go left. this path leads to sights you rarely see in Okaloosa County. Property is sold.as -is there is an pole barn ,which needs some work. As you go into the middle of property you come across creek it has a large pipe that will accommodate four wheelers ,will need some broadening for vehicles. A great pond site. 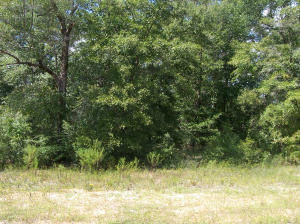 Property full of beautiful Fl. Elm ,Magnolias large Pines and Oaks. You have will your pick on a new home site. There is plenty of deer, turkey owner has never allowed hunting so there are plenty of wildlife there. Owner has surveys. There are two parcel call agent for more information.